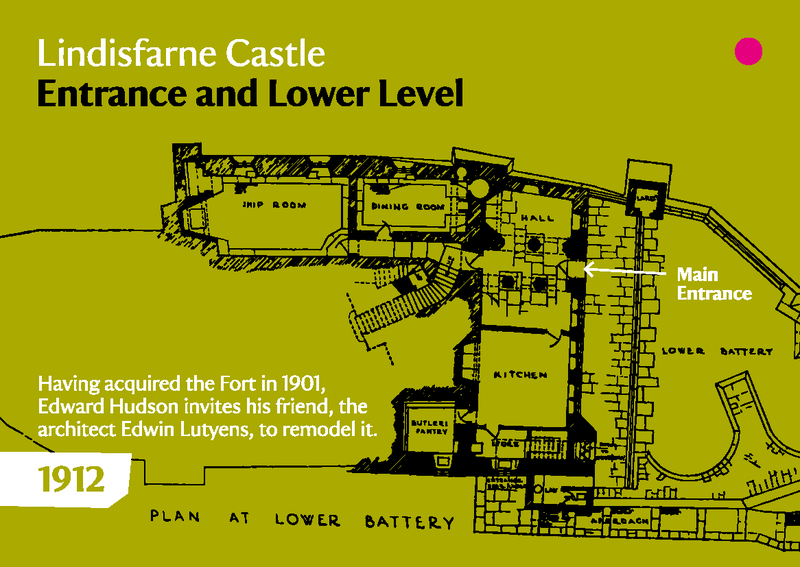 For almost 50 years, the National Trust has been telling the same story at Lindisfarne Castle; the story of the incredible holiday home of Edward Hudson, the owner of Country Life Magazine. But that’s all about to change with the new exhibition ‘Now you see me’ which opens on Wednesday 3 April 2019. The recent restoration project, that took almost 4 years to complete and cost just over £3 million, uncovered some of the castle’s secrets that hinted at a more interesting past than was previously thought. Secrets such as the flower wall paintings revealed in the kitchen, the clay pipes uncovered beneath the flagstones, and the graffiti inscribed on the beams. We’ve seized the opportunity, whilst the castle is still without the majority of its furnishings, to bring to life the stories of the castle, as yet untold; the terrible incident of the cannon misfiring when the soldier was demonstrating it to his governor, the 24 hour Jacobite capture of the castle, which began under the pretence of a shave and ended with a pub in Newcastle, and the Siege of 1643 when the guns were fired in anger for the first (and possibly only) time. This will be your chance to experience Lindisfarne Castle as it has never been seen before; there will be previously unseen plans of what the castle looked like before the Arts and Crafts architect Sir Edwin Lutyens had his way, untold stories from the islanders that capture memories of childhoods past and not quite forgotten, and newly discovered letters that tell of the colourful lives lived in this castle, that’s not really a castle on an island that’s not really an island. 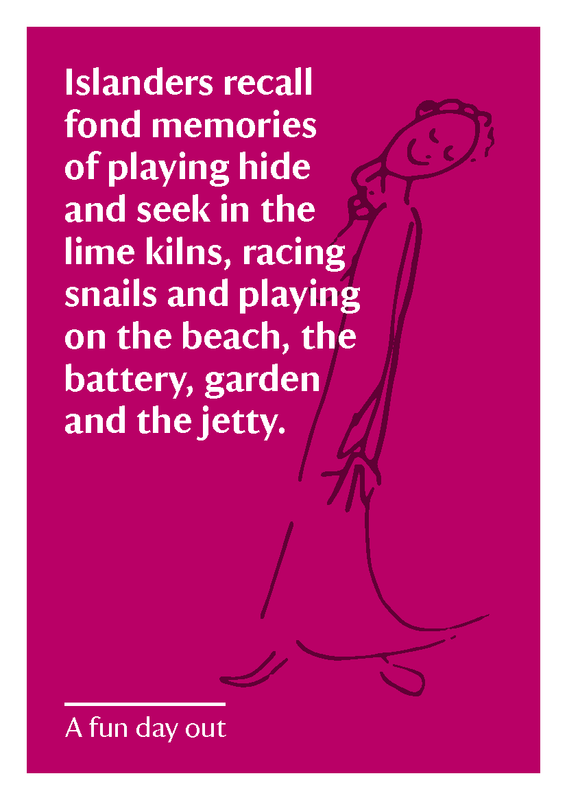 And stories of its visitors – from royalty to poets - of those who arrived on stilts, with ravens, carrying cellos and of some not too keen to stay. ‘Now you see me’ is a feast for the senses with surprises around every corner. Walking up the ramp towards the castle, you’ll already have a pretty good idea about which way the wind is blowing, but Max Gill’s wind indicator in the entrance hall will confirm it! The smells emanating from the kitchen will give you a clue as to what was being served here – not just when it was used as a family kitchen, but when it was feeding a garrison. And in case you’re wondering about the smell in the upstairs bedroom, perhaps tread carefully, as there was once more gun powder stored here than Guy Fawkes was planning to use to blow up parliament. 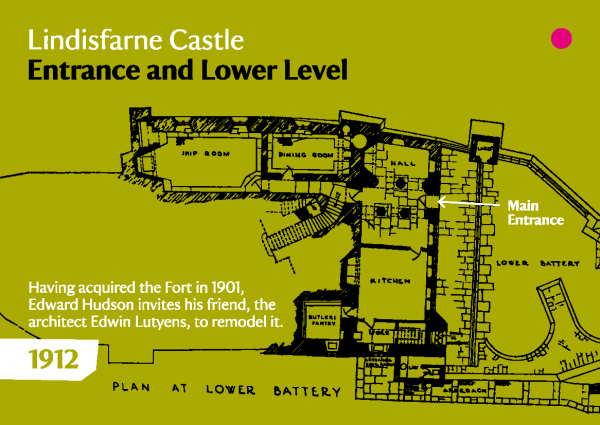 We invite you to learn more about what has happened to this castle over the many years since a fort was first placed on Beblowe Crag; from the removal of an entire battery you never knew was there to Edward Hudson’s guests enjoying fabulous parties. Sink in to the varied past of this castle - if the walls could talk, they’d have so much to say.